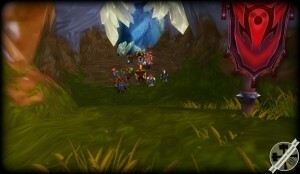 Buried deep in the labyrinthine annals of Horde lore are a few rare references to a traditional bi-annual gathering of the Clans on Draenor before and during the rise of the Horde. Set in Nagrand and centered around the Holy mountain of Oshu’gun the festival was held twice each year on the Spring and Autumn Equinoxes when day and night are of equal length. 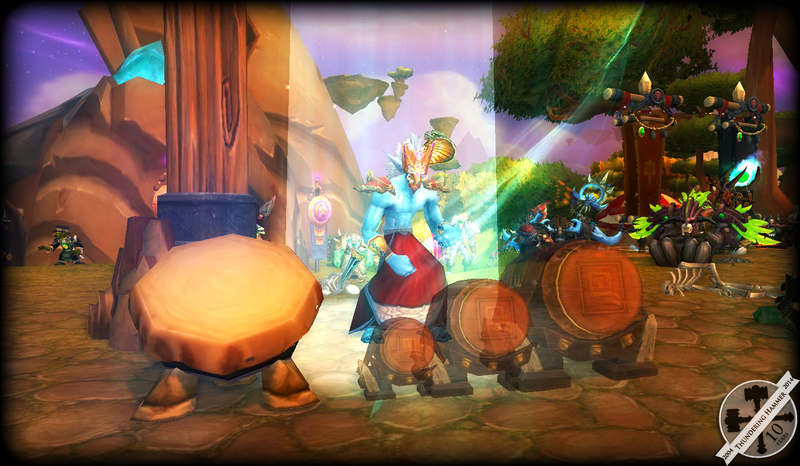 For the duration of the festival the numerous Clans would gather from all over Draenor and lay aside their feuds and disputes in order to honor the Spirits of their ancestors and to seek their guidance at the Holy mountain. The festival was a centerpiece of Horde life for generations, a single thread of unity that bound all of the disparate Clans together. Legend says that it was at the Kosh’harg that Durotan of the Frostwolves and Ogrim Doomhammer of the Blackrock first met and became friends. It was at a Kosh’harg that Ner’zhul first formed the united Horde, and it was at the Kosh’harg that the first Warchief was selected. 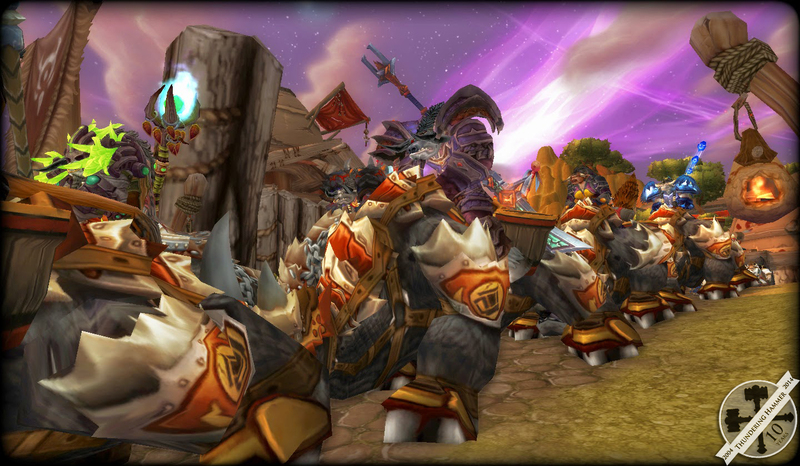 The rich tradition and historical significance of this festival to the Horde cannot be overstated – and now the festival lives on in a massive cross realm event hosted by the Thundering Hammer Clan and the Horde guilds of Feathermoon – one of World of Warcraft’s original RP servers. 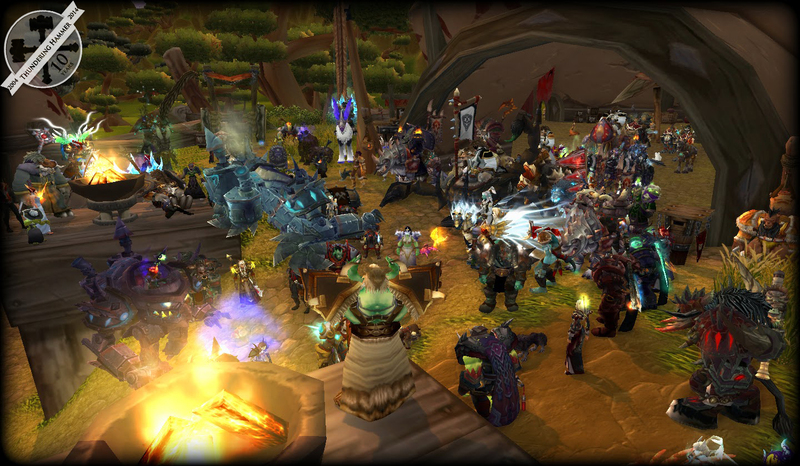 Over 120 roleplayers and lore enthusiasts from dozens of servers gathered in Nagrand to celebrate together. This year was the second outing for this highly successful gathering of roleplayers and Lore enthusiasts and it did not disappoint. 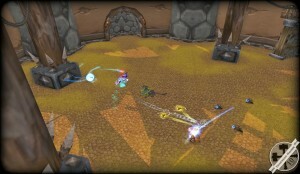 With over three full raid groups coalescing players from more than a dozen different realms using Blizzard’s cross-realm grouping technology the event took players from the comfortable environs of Garadar, to the city of Haala, the Ring of Trials where this year’s Blademaster Tournament champion was crowned in front of a live audience both in-game and streamed online at Twitch.tv, and finally to Oshu’gun for the ceremonial trek of the Shaman into the Holy Mountain. The Thunderhoof Clan (Venture Co.) showed their style during the Procession of the Clans. One of the greatest features of the Kosh’harg is its innovative use of cross-realm technology to fulfill the promise of the in-character Kosh’harg. In pre-invasion Horde Lore the Kosh’harg was for many of the insular and tight-knit Orcish clans the only time they would see and interact with other Clans that were not their direct neighbors. It was here that a young Orc could hear the tales and oral history of other communities that he would otherwise never have contact with. 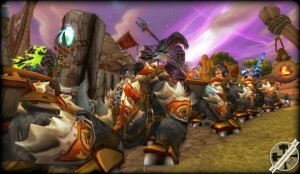 In the same spirit, the in-game Kosh’harg brings together entire guilds and characters of every Horde race that would otherwise never have opportunity to interact with each other and gives them the ability to exchange their own accumulated Lore and commune in a shared space Today’s Kosh’harg brings together communities from dozens of different realms and players from all across the continental United States to celebrate Horde culture and Lore together for one special night. Melodi of Thorium Brotherhood shares a song for the fallen during the Story and Lore competition known as the Spirit Walk. 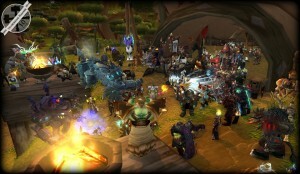 To celebrate these varied and unique groups of players event organizers hosted a Procession of the Clans to show off the largest delegations in all their splendor, a Great Feast to provide opportunity for spontaneous interaction and Roleplay, and a Spirit Walk storytelling competition so that the best and brightest of the World of Warcraft story-telling community could share their own immersive additions to their own server’s Lore and culture. Prizes were awarded, food was devoured and there was even a tawdry (and feeble!) 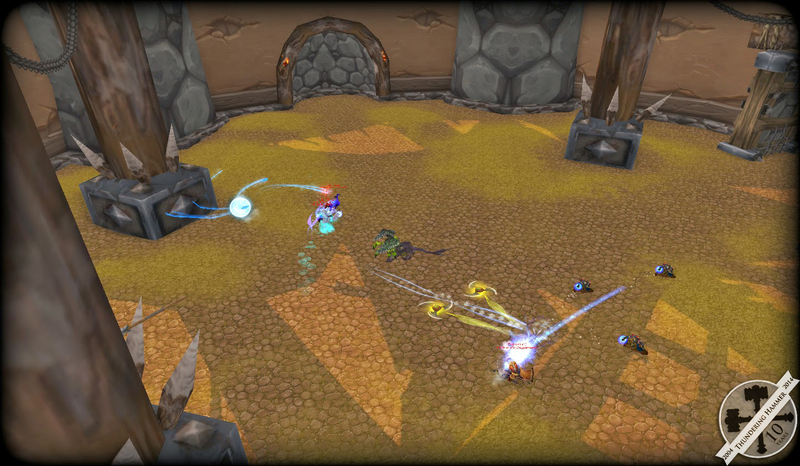 assault by Alliance forces that was repelled and decimated by the noble warriors of the Horde. 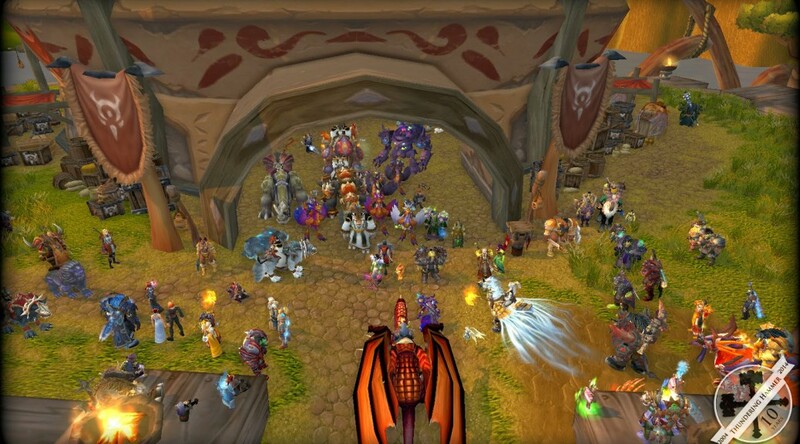 After the feasting the gathered attendees all flocked to the Ring of Trials in Eastern Nagrand for a test of strength where the strongest and bravest of the Horde’s warriors faced off in the single elimination 1v1 Blademaster Tournament! After four rounds of intense competition, highlighted by an epic Double KO semi-finals match, the victor was crowned in front of packed stands of cheering spectators who helped create the most immersive in-game tournament environment imaginable. All of this while the proceedings were streamed live to the Internet via Twitch.tv! The single elimination 1v1 Blademaster Tournament is highly immersive. Fans cheer and jeer from the stands as everything unfolds live in front of over a hundred spectators in the stands above. Were you with us for this year’s Spring Kosh’harg? Post your own stories from the event or add your screenshots on our Event Pages on Google+ and Facebook! 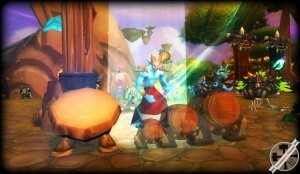 Or just check out the awesome gallery of screenshots from this year’s biggest Warcraft RP event. The Kosh’harg always ends with a sacred trip into the Holy Mountain of Oshu’gun by the assembled Shaman of all the Clans to seek guidance from the spirits of the ancestors.